Mary has lived in Yorkshire for 14 years. 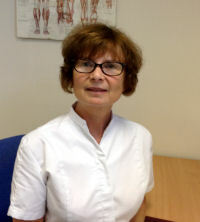 She qualified in 1997 at the British School of Osteopathy in London and initially worked in a practice in the east end. There was an emphasis on rehabilitation and the practice had a small gym where patients could be supported in their exercise programmes. She also worked at a project for older people as part of a multidisciplinary team addressing musculoskeletal pain in people with chronic and complex health problems. During this period she worked as a volunteer at the osteopathic centre for children where cranial osteopathy was the preferred treatment. Her wide experience enables her to work with people of all ages and walks of life and adapt her treatment according to individual need. It was the study and practice of yoga that sparked Mary’s interest in musculoskeletal health and helping people alleviate their back and neck and joint pain. She was happy to take this further by becoming an osteopath and now enjoys helping patients overcome more severe aches and pains. 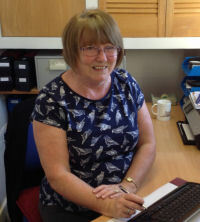 Originally from the north east Mary is happy to be back in the North and regularly takes the opportunity, to visit the surrounding countryside cycling or walking with her family and friends. Greg graduated from Leeds Metropolitan University and has undertaken further training in the field of cranial Osteopathy with the Sutherland Cranial College as well as acupuncture with the British Medical Acupuncture Society. Prior to training as an Osteopath, Greg completed an ITECH in Sports Massage and has worked as a massage therapist at Old Otliensians RFC. 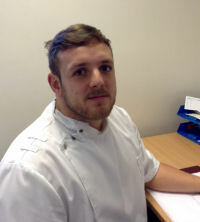 Greg has a strong interest in sports Osteopathy and has experience volunteering at various sporting events, including the Leeds Half Marathon and at London Broncos. He is a keen rugby player and fan and was part of the North of England development squad for Rugby Union U16-U18 and was also captain of one of the University Rugby teams. Although Greg has a keen interest in sport he enjoys treating people of all ages and backgrounds. Greg is registered with the General Osteopathic Council (GOsC) and is a member of both the Institute of Osteopathy (IO) and the Osteopathic Sports Care Assosciation (OSCA). Janette will often be your first point of contact at the clinic when either booking appointments or making initial telephone enquiries. Janette has been with us since early 2015. She is friendly, efficient and has quickly become an important member of the team.